NBC’s family drama “This is Us” and the final season of Netflix Inc’s political thriller “House of Cards” also were left off the list of contenders nominated by the Hollywood Foreign Press Association. The awards will be handed out Jan. 6. They were edged out by surprise nominee “Bodyguard,” a British TV thriller picked up by Netflix, and Amazon.com Inc’s “Homecoming,” which stars Julia Roberts in her first leading TV role. The shows will battle Russian spy tale “The Americans,” murder mystery “Killing Eve,” and “Pose,” about transgender models in the 1980s, for best television drama. “Huge thanks to the HFPA for continuing to celebrate our show and putting us in such fantastic company,” “Mrs. Maisel” star Rachel Brosnahan said. 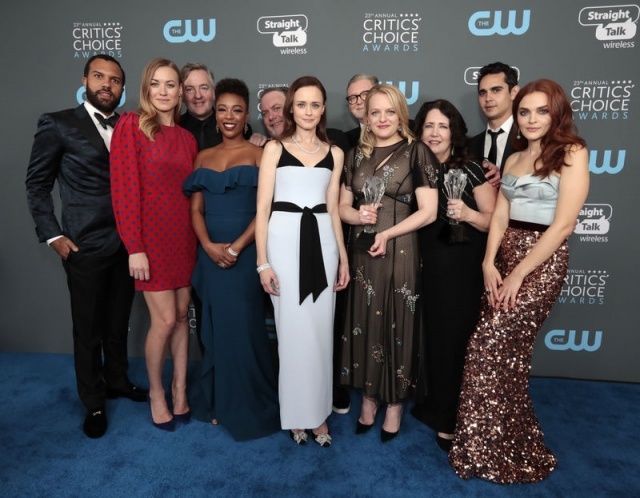 Streaming outlets and cable channels have flooded viewers with premium programming in recent years, prompting critics to declare a Golden Age of Television and leaving audiences overwhelmed with choices. Golden Globes voters scattered nominations across 30 series and TV movies. FX Networks, a unit of 21st Century Fox, landed the most nominations of any outlet with 10, followed by AT&T Inc’s HBO and Amazon’s Prime Video with 9 apiece. “Atlanta” star Donald Glover was nominated for lead actor in a comedy for the series on FX. Limited series “The Assassination of Gianni Versace: American Crime Story,” also on FX, led all TV series with four nominations. Sacha Baron Cohen was a surprise nominee for his provocative Showtime network show “Who Is America?,” which embarrassed U.S. politicians by duping them with a fake persona played by the comedian. HBO series “Succession” was among 14 shows with a single nomination each. Kieran Culkin was nominated for supporting actor in a TV drama for his role as a privileged son of a wealthy media mogul.